One of the great aspects of New York Comic Con (NYCC) is that fans get a glimpse of the future when NYCC premieres the pilot episodes of new series before they air on network or streaming services. I was lucky enough to see several pilots but I especially wanted to discuss the reboot of Roswell which has been retitled Roswell, New Mexico. Roswell, New Mexico is based on the original series, Roswell, which aired from 1999-2002 on the WB. The new episodes join an entirely new cast 10 years after the events of the original series. Both series are based on the young adult books by Melinda Metz called Roswell High. However, instead of the teen angst of the previous series, the audience will see young adults dealing with the relevant issues of today, as well the need to keep secrets to safeguard their lives. The pilot episode opens with Liz (Jeanine Mason) returning to Roswell, where she is stopped at a police checkpoint. 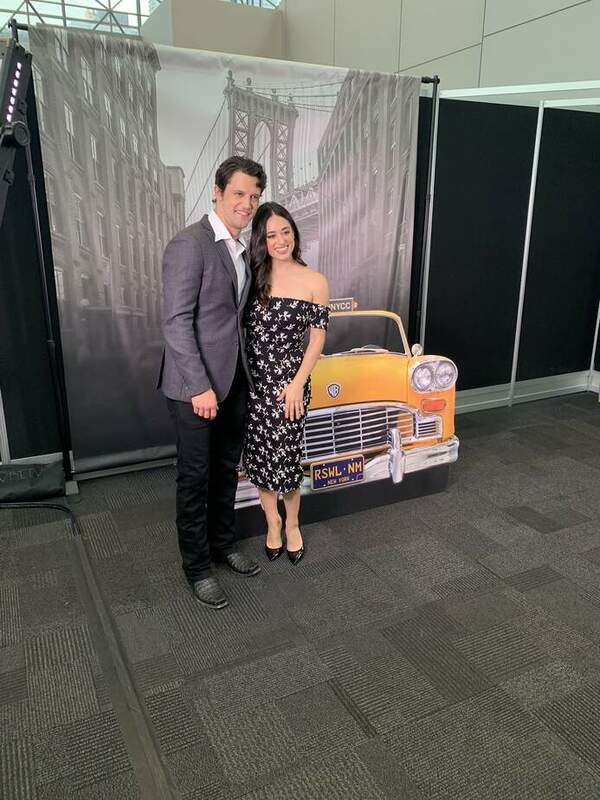 Liz launches into a diatribe about the checkpoint being a poorly disguised attempt to find illegal aliens before she realizes that the deputy who is checking her car is Max (Nathan Parsons), the person with whom she had a great love affair in the previous series. With this scene, the audience is immediately thrown back into the world of Roswell. It is both meta and amusing that the true illegal alien is the deputy (who is a real alien) while Liz is the American citizen. Since this is a spoiler-free review, I won’t give away details of what transpires in the remainder of the episode. However, I can say that familiar characters from the original series are reintroduced as the audience sees their new lives. Max’s sister, Isobel (Lily Cowles) is now married and keeping the fact that she is an alien from her husband. Michael (Michael Vlamis), Max’s brother, is well known to local law enforcement for his disruptive behavior and frequent fights. Michael is keeping a major secret from his family and the entire town that is finally revealed in the first episode. This revelation brought a loud cheer from the NYCC audience! Of course, with aliens, there has to be a covert government organization that is monitoring them. This is led by Jesse Manes (Trevor St. James). Jesse is the father of Alex Manes (Tyler Blackburn). Alex is a military veteran, who returned from the war with severe injuries. He, like so many people in this small town, has a big secret; however, his secret will cause major conflict between him and his father. 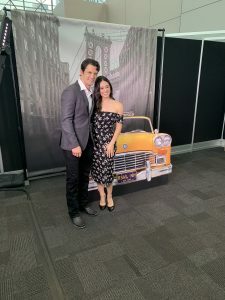 I had a chance to interview the cast and crew of Roswell, New Mexico, who promised that there will be a focus on the characters. However, while they will not forget the history of the previous series, they will adhere more to the spirit of the original novels. They were particularly proud that Liz is being played by a Latina woman, which harkens back to the original novels. Also, they made a special effort to make a realistic portrayal of the plight of the undocumented workers in this country. Jeanine Mason (Liz) prepared by watching the original series and reading the novels. Nathan Parsons (Max) chose not to watch the series or read the books so that he could have a fresh take on his character. Carina Adly MacKenzie, an executive producer and showrunner, wrote the pilot episode. She revealed that it was her idea to portray the characters as adults, as it provided the opportunity to develop the characters more and to deal with adult issues. But she promised that they would not forget the epic love story between Max and Liz. The pilot episode reminds the audience of the major issues and conflicts surrounding the hidden aliens in Roswell. There are at least two love stories which will have major consequences for those involved as well as the town. The acting, production values, and writing are very good to excellent in this premiere episode. If the cast and crew maintain this level of excellence, Roswell, New Mexico could be a big hit. 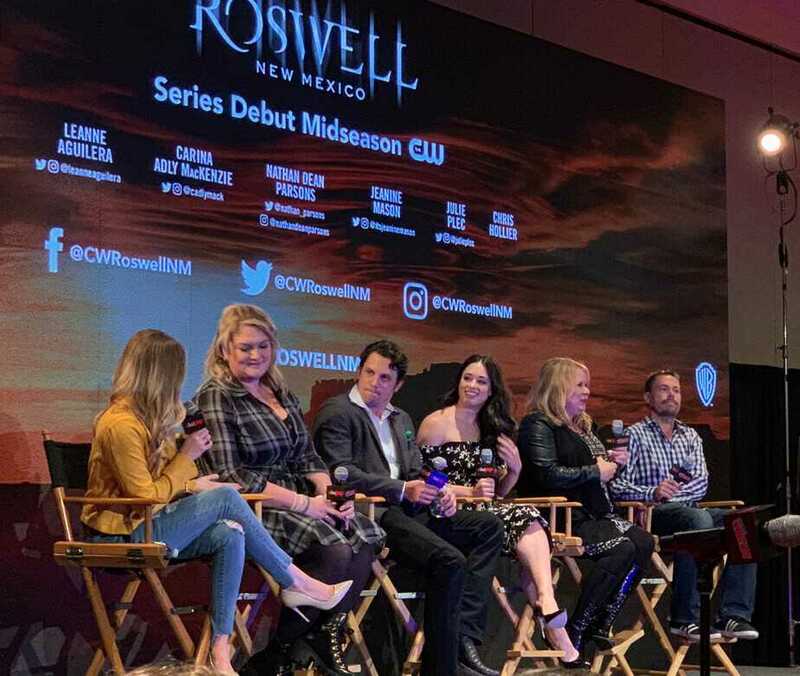 Roswell, New Mexico premieres in 2019. It is also shot on location Santa Fe, New Mexico.